Welcome to CFO.University’s transcript of Craig Vagt’s CFO Ed Talk™ What Every CFO Needs to Know About Tax. Craig wants your tax function to be a success and shares the concepts you will need to make that happen. ​At some point, you as the CFO are going to realize that you have responsibility over the tax function. This may come as a surprise, hopefully not, but it may. This will be the case whether you have an internal tax director or whether you rely on an outside advisor for your tax services. Your role will probably be a little more complicated if you’re relying on outside advisor. But in any case, you’ll have that responsibility. So knowing that you have that responsibility, you need to assess where your tax knowledge is; What do you know about taxes? What should you know about taxes? Do you think there’s a gap? How do you fill that gap? Well we’re going to talk about a few things here that will help you get through that process. ​The first is you need to identify what issues you’ve got to deal with. What are the total tax issues that the company has to face? Probably be best to make a list. What’s the first thing that comes to mind? Income Taxes, put that on the list. What do you know about income taxes? Where do you have to file? You’ll file federal return, you’ll file state returns, maybe more than one, you’ll file local jurisdiction returns, City, County. If you’re involved in international operations, you’ll have to file foreign tax return. Keep all those in mind, create a list, know where you’re going to file, know the due dates, know the estimated tax dates if you’re going to have to pay taxes in any of those jurisdictions. That’s all very important. ​When you come to the States, you’re going to ask to have to ask yourself, well if we have operations in more than one state, say we’ve got a manufacturing facility in California and a warehouse in Arizona, the entity made $1 million. How do we split that income between the two states? Those are rules called allocation and apportionment rules. You don’t need to know the rules for each state, because they can differ. They can differ to the point where one state may allow a consolidated filing if you have more than one entity and another state may forbid consolidated filing. So the differences could be quite large. Maybe some states rely on payroll, sales, property, ratios of those in and out of the state. But you need to identify those, keep those in mind, not the details; you just need to know that those exist. What do you know about the tax return itself? Page through it. Take a look at the last page where it reconciles book income to tax income. That will be a big help. So that’s income taxes. ​How about property taxes? What do you know about property taxes? Who in your organization actually files property taxes? What information do they rely on? Do they rely on the general ledger? Does the general ledger have information about where property is located? What happens if you have property that moves from jurisdiction to jurisdiction? Your construction company and your equipment moves from jurisdiction to jurisdiction? Is there a way to track that? You need to make sure you understand that. Maybe you use the depreciation schedule as the base for your property taxes? Has anyone ever looked at the depreciation schedule to make sure there aren’t assets on it that you don’t own anymore? We find that’s frequently a problem. People are good at adding assets, but not so good at taking them off. ​How about excise taxes? Not all companies file excise tax returns, but many do. So you need to put that on your list if you have that in your purview. If you’re involved in international operations, duties would fall on that list. So you need to put that down. 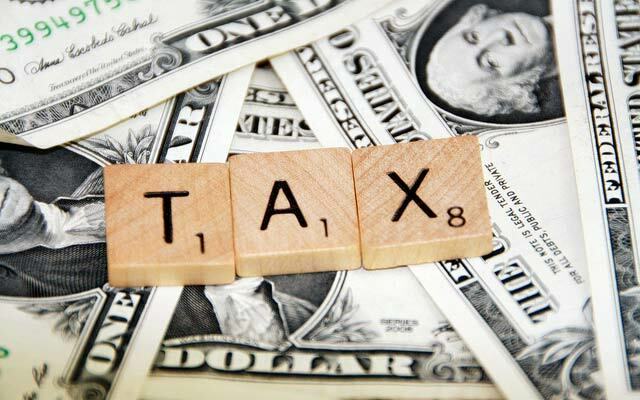 ​How about payroll taxes? Payroll tax is kind of an interesting idea because frequently it’s handled in the HR department, right? That makes sense, the HR department knows who’s on the payroll, they know what the rates are, and they know what benefits people get, so that makes a lot of sense. But let me pause at a hypothetical for you. What happens if you have an installation in Montana, you’re not located in Montana, this is the first time you’ve ever gone to Montana, you send somebody to Montana to assist with the installation. Somebody in the HR department, one of your smart people in the HR department says, wait a second, we’ve got people in Montana, maybe we should be filing a tax return in Montana. They look at the rules and based on your facts, yep, you’ve got to file. What do you do? ​Well, this is a two-part question. The first part is, What are the rules? and this person is determined that you have to file, that’s important. The second question is, Will you file? Now I’m a tax advisor and I don’t advise people not to follow the law. But I’m well aware that pragmatically, companies will say, we have never been in the state before, we’re going to be there for one day, we’re never going back. We don’t want to enmesh ourselves in filing a return in a state where we’re going to have to wait for two or three years to extract ourselves all the time paying somebody to file those returns. ​Who should make that decision? Should it be the HR director, they have visibility to the HR issues. They have no visibility to the income tax issues or the sales tax issues. So that decision should be made by the CFO. ​Sales Tax Sales tax is the wild west of taxes. And what I mean by this is you would hope, you would hope that with sales taxes being so ubiquitous in the United States that the rules would be somewhat consistent. ; Absolutely not the case. Every state has a different rule. In the time I’ve been preparing for this presentation, a couple weeks, I believe there are two states that have changed their rules. Let me give you an example of what I’m talking about. You live in Wisconsin, you’re going to buy a book, if you go downtown and buy the book you will pay sales tax. The bookseller will collect the tax, remit it to the state, states fine, everything is copacetic. But you go online to buy the book, you buy it from somebody in New Mexico, do they collect sales tax? Well, they may, they may not. What you’ve stumbled on is a concept called Nexus. 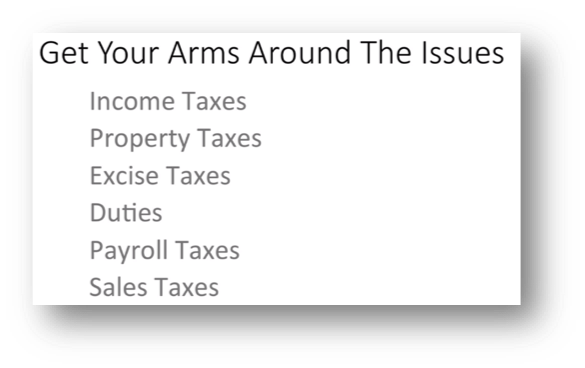 ​Nexus is the term tax people use to describe the connection between a taxing jurisdiction and a taxpayer such that the taxing jurisdiction can compel the taxpayer to either file a return, pay tax or in the example I’ve just given collect sales tax. Well it would be nice if those rules were all consistent; and ironically, we’ve had this issue for a long time and the Supreme Court ruled on this and said, well, to compel an out of state seller to collect sales tax, the out of state seller has to have a physical presence in the state. Well, that’s pretty clear. You got a body there you’ve got some equipment, a warehouse. States don’t follow that rule. Massachusetts has expanded the rule. Massachusetts says, well, if somebody in Massachusetts goes online and buys something from somebody in New Hampshire, and the seller in New Hampshire puts a cookie on the buyer’s computer, that cookie is physical presence, is that physical presence? I don’t know, they think it is. Somebody will have to determine that in the courts. And that’s where the case is right now. ​A couple states, Alabama and South Dakota, have said, we don’t frankly care what the Supreme Court said, we don’t think you have to have a physical presence. When somebody pointed out the conflict to the tax director at Alabama, he said, so sue us and that’s what’s happened. There are cases all over the country that relate to the sales tax Nexus issue. The point is not to know all these rules, that’s clearly not going to be the case. Your tax advisor is going to know that. What you have to know is that there are rules and they can change. So if you have no operations in Kansas, and send somebody into Kansas, you need to know what the consequences might be. ​ You need to find somebody who’s technically competent in your industry. Taxes are very industry specific and you need somebody who understands those rules for your industry. ​ It’s highly unlikely you’re going to find one person that knows all those rules in all those states for all those taxes. ​So, what you’re going to have to find is somebody who has access to the expertise that they don’t have personally. Large firms do that internally in different departments. Smaller firms can do that through alliances. So, you need to find somebody who has the technical expertise that’s important to you with solid relationships they can fill voids with. ​Second of all, you need to find somebody who is proactive. It’s hard to determine but you need to put that into your list of criteria. ​And finally, you need to find somebody you can talk to. Someone you can communicate with. Who when they answer your question, you not only understand the answer, you understand why they’ve given you that answer. There’s a big difference between just finding a rule and understanding why the rule applies. ​Having done all that, you need to open that communication line. The easiest way to do that, put them on speed dial. Over 30 years of experience in the tax area working with companies of all sizes to enhance their financial position. Specialties: Tax with a focus on corporations, partnerships and individual matters. Extensive work in structuring acquisitions and sales of businesses. Past managing partner at TKW.